The St. Johns Unified School District is comprised of four schools serving kindergarten through 12th grade. 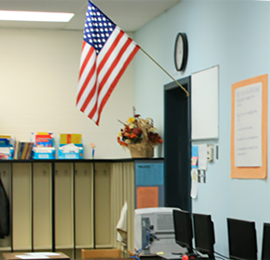 Each of our facilities is dedicated to providing a quality education in a positive, safe environment. To find out more about any of our schools or how to register your child in our district, follow the links below. We also invite you to visit or call our campuses any time during school hours.